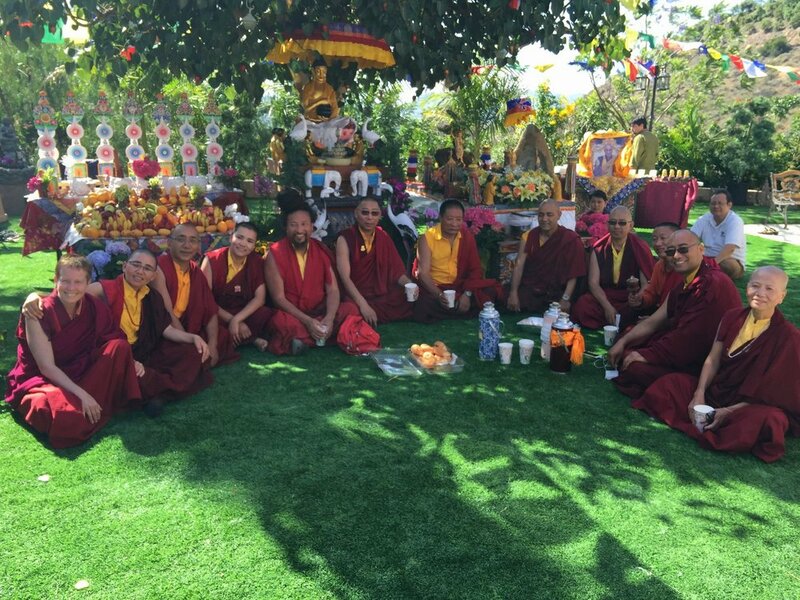 We are a not for profit religious organization located in Escondido, CA dedicated to providing a place of refuge, solitude, tranquility and the philosophical teachings if Tibetan Buddhism. All are welcome here. Learn about our center, location and hours, our lineage, and view our photo galleries. Just follow the link below. We have many exciting upcoming events to participate in. Some are recurring every month and some are special one-of-a-kind. Take a look at our calendar to see what is coming up next. Here you can learn more about our precious teachers and watch a video about our Sangha. Here you will find all about the various special projects for our center. In Buddhism, a Stupa is a monument which represents peace, prosperity and harmony, as well as being a place for meditation. The Enlightenment Stupa symbolizes Buddha's enlightenment, the realization of the nature of mind, and is one of the eight different forms that Stupas are built according to.